Yuanheng Seaside Development is building a new residential development located west of No. 3 Road between Sea Island Way and Capstan Way in Richmond, BC. The proposed development will be constructed in two phases, with Phase 1 consisting of two 15 storey high-rise towers, a 5 storey low-rise office building, a 12 storey hotel and some other low-rise structures. 17 to 20m of loose to compact sand with silty sand interbeds susceptible to liquefaction. 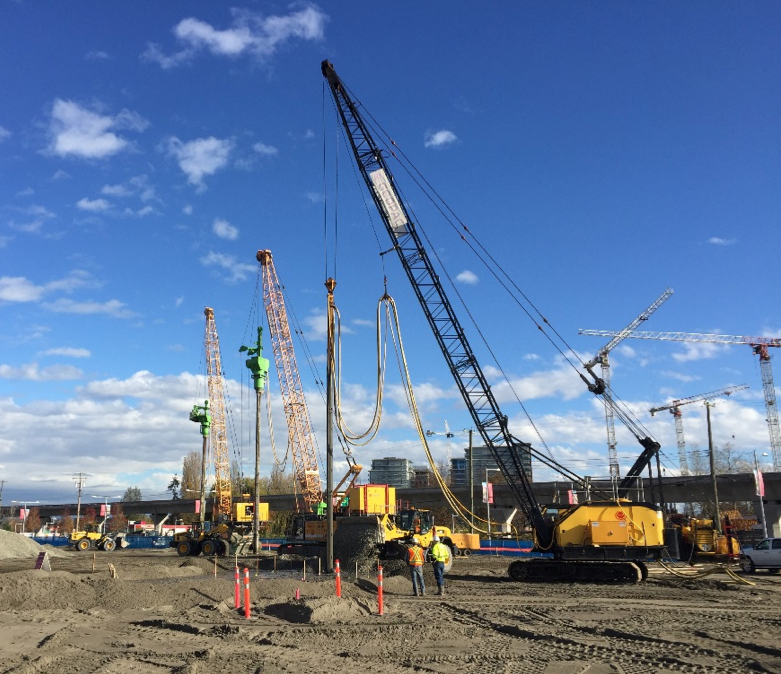 In order to reduce the liquefaction potential of the underlying loose to compact silts and sands, ground improvement by Vibro Replacement stone columns was successfully carried out by Menard to a maximum depth of 17m below existing grades. 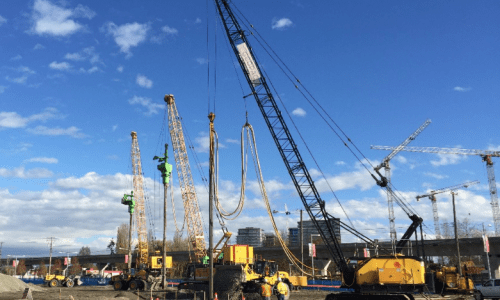 The ground improvement work began with two initial Trial Areas to confirm the proposed stone column spacing and methodologies could adequately achieve the specified CPT tip resistance performance requirements. Menard successfully completed the work on-time utilizing two dry-bottom-feed and one wet-top-feed stone column installation rigs.